Sabadell United Bank worked with IBM Business Partner Champion Solutions Group to replace three separate patch management tools with IBM BigFix—enabling the company to reduce the time to execute and deploy patches by six times. 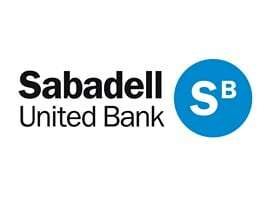 As Sabadell United Bank grew, the number of endpoints under management tripled. To keep pace, IT staff needed to simplify endpoint patching processes and reduce the time to deploy patches. Working with Champion Solutions Group, the bank streamlined discovery, reporting and patching of endpoints with IBM® BigFix® and gained near-real-time visibility from a single console. Sabadell United Bank has undergone enormous growth in the past decade, and as business volume has grown, so have the demands on IT staff. Through bank acquisitions and organic growth, IT staff saw the number of endpoints under management triple, and they found that the company’s existing patching tools and processes couldn’t keep up. Working with IBM Business Partner Champion Solutions Group, the company replaced its three separate patching tools, along with manual patching processes, with IBM® BigFix®. The solution streamlines the discovery, reporting and patching of endpoints, automating previously manual processes and providing a single console that gives IT staff near-real-time visibility to understand the landscape and helps them reduce patching times. “BigFix has really changed the paradigm of how patching is managed and has helped us simplify the process significantly,” says Arnau Llopart COO, Sabadell United Bank. Champion Solutions Group has worked with the Sabadell United Bank IT team for many years, supporting a number of the organization’s IT initiatives. When it came to reassessing the company’s patch management processes, Champion Solutions Group suggested a Proof-of-Concept (POC) that enabled the bank to explore its options firsthand. By centralizing and automating patch management processes, IBM BigFix has helped the Sabadell United Bank IT team manage its endpoints more efficiently, and deploy patches faster and with greater reliability. For example, BigFix tracks patch releases from operating system, anti-malware and common third-party application vendors and makes them available to the bank, helping to eliminate the need for time-consuming patch research processes. It also continuously monitors and reports endpoint state, so Sabadell IT staff can more quickly confirm the successful installation of patches and endpoint compliance, and rapidly identify which endpoints require remediation when vendors release highly critical, out-of-band patches. Additionally, the company can more quickly deploy vendor patches for zero-day vulnerabilities, reducing a process that previously took weeks to one day. Headquartered in Miami, Sabadell United Bank is a locally managed, nationally chartered banking institution serving more than 40,000 clients across 27 locations in Florida. Since 2007, the bank has grown its presence in Florida over twelvefold in terms of business volume.